The STEM Center is home to merit badges and programs related to Science,Technology, Engineering, Mathematics. Daily activities will be offered for Scouts, as a fun way of encouraging their sense of innovation, which will better prepare them for the future. The Ecology/Conservation area features many displays of animals, literature, and other items of interest. A nature trail is also available to hike. A list of Conservation projects will be available at camp for Troops or individuals to work on. Ecology/Conservation will also offer a wide variety of specialty programs for Patrols and Troops to work on throughout the week. 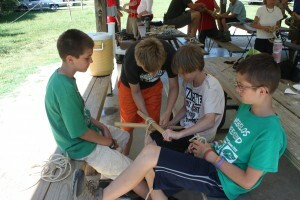 The Outdoor Skills area is available for Merit Badge instruction with plenty of rope, spar poles, and fire-building tables. 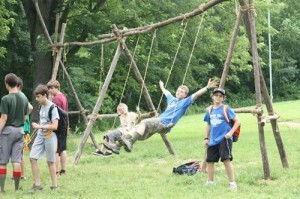 Pioneering projects and traditional Scout skills will be on display. 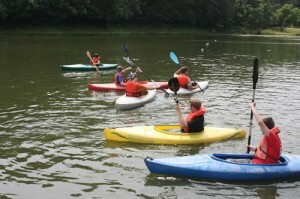 Scoutcraft will also include all Handicraft Merit Badges and activities. The Harold Appel Field Sports Area is open to anyone that would like to shoot a rifle, shotgun, black powder, or archery. 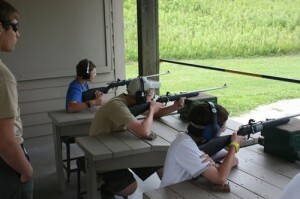 Ingersoll Scout Reservation furnishes ammunition .22 rifles; however, Shotgun shells can be purchased for approximately $7.00 per box of 25 rounds in the Trading Post. National Guidelines prohibit outside ammunition or firearms being brought to camp. 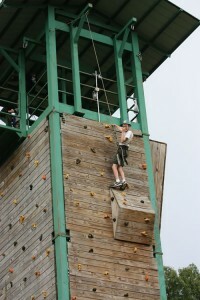 Our 50-foot Climbing Tower is fully equipped with three rock walls of varying difficulty, and a fourth side for advanced climbers with a giant’s ladder and Cargo Net. We have a 350- foot zip line available during our open sessions. We also have a 40-foot, 20-foot, and 5-foot rappel. During open climbing sessions, test your strength and take the Mile Climb challenge. Climb on Safely training is available for leaders. Leaders are also encouraged to help belay during busier hours of operation. On the eastern side of main camp is Lake Roberts, which is home to both our boating and fishing programs. Our boathouse has a sand beach, boat storage, floating dock, and a teaching area. Across the lake is Greg’s Fish Shack, where Scouts can catch, clean, and prepare fish for cooking. One of the most popular areas in camp during the hot summer months, the pool is the perfect place to swim, learn lifeguarding skills, and have fun. The Health Lodge is located behind the Camp Office, where our onsite Health Officer will be able to provide medical assistance for any minor injuries that occur during camp. 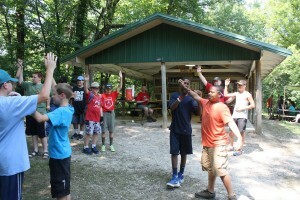 Brownsea Island is home to the Ingersoll Trailblazer Program, where first year Scouts will learn basic scout skills needed for rank advancement, participate in many fun themed activities, and become familiar with camp. In the afternoon, workshops are offered for Second Class and First Class advancement. The staple to a true ISR experience, Camp Wilderness gives troops a break from the hustle and bustle of main camp by providing several exciting, theme-based outpost programs that are sure to fill each Scout’s camera with lots of fun memories. Additional available outpost programs are also listed in the Leader’s Guide. Paul Bunyan Logger Village: Travel back to a 19th century logging camp, where its residents will bring the era to life. 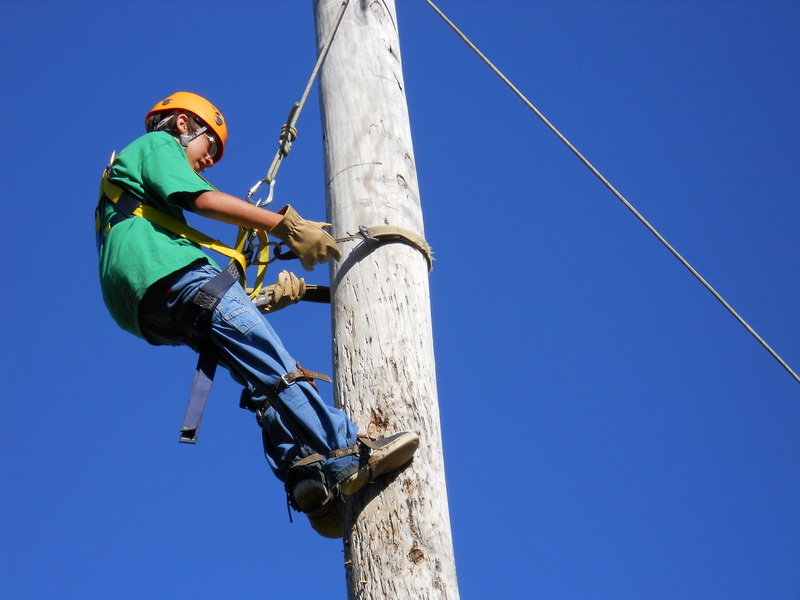 Spar pole climbing, branding irons, cross cut saws, logging games, a big breakfast, and much more will fill the morning’s activities. Adult leaders will be asked to assist the village residents with activities. Horseshoe Bend: The old west comes alive in Camp Wilderness! Enjoy the night with activities such as horseshoes, bucking bronco, lassoing, branding, atlatl throwing, blacksmithing. Enjoy dinner, and special desserts prepared by the staff. A themed campfire program will highlight the night. The Trading Post is open each day for several hours. See the posted hours for actual day-by-day schedule. 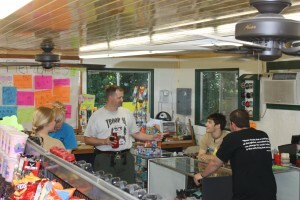 The Trading Post has a variety of snacks including ice cream, candy, and drinks for campers to purchase. T-shirts, handicraft kits, BSA merchandise, Merit Badge pamphlets, supply cards, and various other items are stocked. Meal tickets are also available. Cash, personal or Troop check, and Visa or MasterCard credit cards are all accepted in the Trading Post. One unit leader will be allowed to open and manage a weekly charge account. Only one leader will have access to this account. 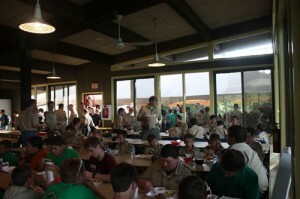 Troops have the option of eating their meals in the Dining Hall, or cooking their own food in the campsite, Patrol Cooking-style Troops that opt for Patrol Cooking will pick up their food from the Commissary, and cook their own food within the comfort of their own campsite. ISR can provide propane stoves, as well as patrol cook boxes. 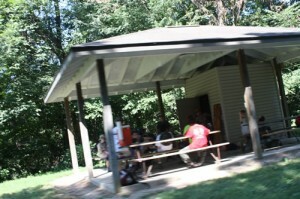 Our Dining Hall and covered patio area seat a total of 300, and campers will enjoy songs, and thoughts of the day as part of their dining experience.